Summer brings with it so many things. Hot temperature, hot dry winds during the afternoon, dry weather etc. All in one, less water in the surroundings. This leads to excess perspiration in our body too which again leads to dehydration. Dehydration can be harmful as it gives way too dizziness, dry mouth, lethargy. According to Doctors around the world, one must consume at least 2.5 Litres of fluids every day during summer, to avoid dehydration. The reason I mentioned ‘fluids’ is because drinking water is not the only answer. Soups, juices, smoothies come under fluids too, which in turn can help increase the body’s water level. Here, I present you with healthy & quick on-the-go recipes which will help you regain your body fluid level! Stay hydrated! 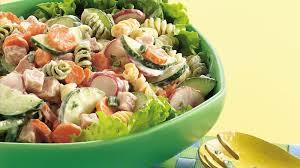 Try to increase your salad intake as much as possible. Use vegetables like Cucumbers, lettuce, tomatoes, bell peppers, green cabbage, radishes to make a scrumptious vegetable salad. Also, fruits like strawberries, pineapples, oranges, raspberry, watermelons, etc can contribute to your fluid intake. 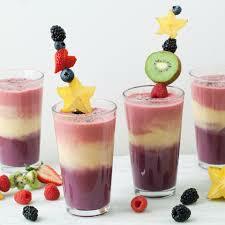 If eating fruits is just not your cup-of-tea, then you swoosh the fruits in a mixer, add sugar, milk, & gulp it down! Then you are good to go for your daily routine! You can even carry it with you wherever you go! Take water, lemon juice, sugar, some salt & pepper & prepare lemonade. Now you have two choices: drink the lemonade right away! Or else, pour the lemonade into popsicle tray & refrigerate it for few hours. Voila! Lemonade popsicle is here to quench your thirst! Grapefruit, pear, orange, mango, and strawberries are all water-filled fruits. Greek yogurt is also about 80 percent water, and chia seeds help the body soak it all in. After all that, the avocado adds some healthy fats to fill you up. There's nothing better than a refreshing sip of coconut water down your throat. It is not only refreshing for your body but also has various health benefits! For now, these recipes are capable of hydrating you & make you summer ready. Try them & let us know if you have more of such healthy & tasty recipes to kick off this summer!